Tonya Sikes was a member of an organization in Memphis focused on keeping youth active and focused. Through the organization of the Memphis Wildcats, a pee-wee basketball group for boys and girls ages 8 to 12, her organization was able to achieve these goals. Some of the kids who participated in the program were under-privileged, unable to afford uniforms or even the group trip to a local amusement park. Tonya decided a fundraiser would be a great opportunity for these kids to get to participate with the group without having to pay anything out of pocket. Tonya needed something that was hassle-free, easy and efficient to work with, and had a high profit margin for those participating. After some research, Tonya decided Popcorn Palace was a good fit for her organization’s fundraising opportunity. She also said that the popcorn was fresh, a big reason why she said she would use Popcorn Palace again. “It was great. I have ordered popcorn from other people who did fundraisers from other companies and the popcorn was stale,” Tonya said. “We raised a lot of money and we were able to take the team to a fun event,” Tonya said. 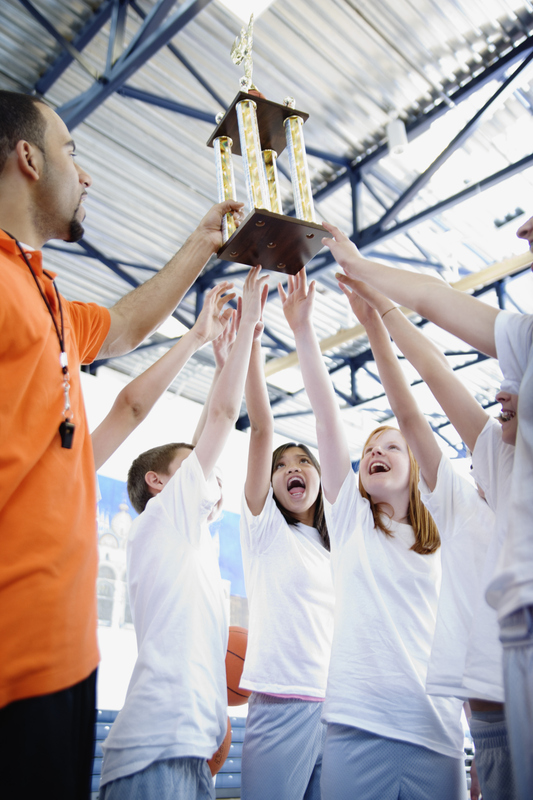 Are you looking for a fundraising to benefit your sports team? Popcorn Palace has the solution you have been looking for. Start fundraising with Popcorn Palace today. This picture was taken when Michelle (treasurer), Johana (president) and Jerri (secretary) presented the middle school principal with a check for the funds raised with the Popcorn Palace fundraiser. 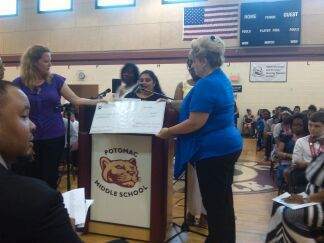 Michelle Cavazos and the PTSO of Potomac Middle School had a goal: to raise funds for the middle school’s annual end-of-the-year activities. Activities included Field Day, a carnival hosted on campus, and the 8th Grade Graduation Ceremony. She needed something that required little effort, worked within her time frame, and would be a big seller. Michelle chose Popcorn Palace at the last minute. Even though it was on a whim, she said the process was incredibly easy and the staff was great to work with on her time crunch. With little effort on their part and free sorting options, it took the guesswork out of fundraising organizing and made it easy for Michelle and her fellow board members to work with students to make the fundraiser beneficial to them. In addition, Michelle really loves the popcorn. Lastly, Michelle states that the 50 percent profit made the decision easy, along with some other factors. “There was no start-up fee… I think everything they offer to benefit fundraising organizations is awesome. It’s stress free – especially since there was no minimum amount in sales required to participate,” Michelle said. Have a success story like Michelle’s become yours today. Start fundraising with Popcorn Palace today. 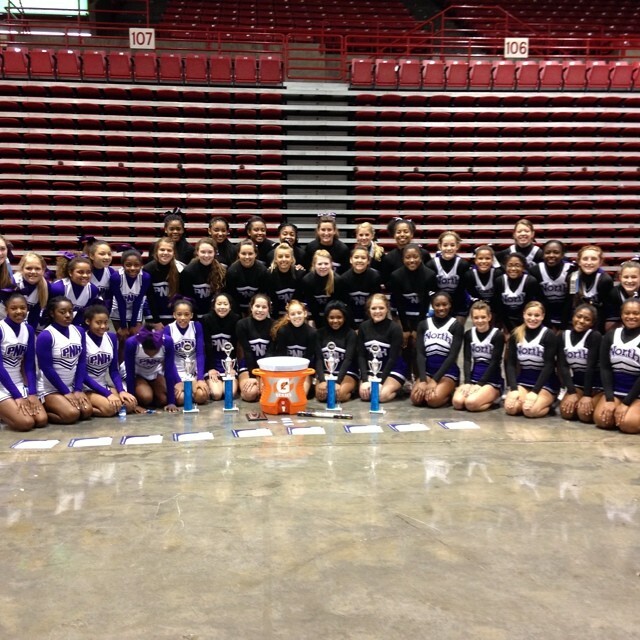 Lindsay Wehmer was a cheer mom looking to help build funds for her daughter’s high school cheer team at Parkway North High School. Funds were tight for boosters who were looking to fund uniforms and cheer camp for the members on team. Ms. Wehmer and the other boosters stumbled upon Popcorn Palace as a fundraising option for cheer team members if they were looking to participate to help pay for some of the costs on the team. When asked if she would use Popcorn Palace in the future, Ms. Wehmer replied yes. Her compliments were that the fundraiser was easy to do and that the customer service was on point. “When we had questions, we were always able to reach a customer service representative. All of our questions were answered right away,” Ms. Wehmer said. Some things she highlighted about what she liked most about working with Popcorn Palace were the company’s flexibility, promptness, spreadsheet ordering system and the easy uploading process. She explained that the process was made very easy by being extremely efficient and self-explanatory. What stood out to Ms. Wehmer the most? Host a delicious and profitable fundraiser for you and your school. Start fundraising with Popcorn Palace today. Scientists have found traces of wild corn pollen as far back as 80,000 years ago, but the archeological record indicates corn was first domesticated in the highlands of Mexico some around 7000 BC (9000 years ago). According to Popcorn.org, “the oldest ears of popcorn ever found were discovered in the Bat Cave of west central New Mexico.” Archeologists have dated some of the charred ears of corn found in the Bat Cave to 4000-5600 BC. Popcorn was one of the earliest foods eaten by indigenous people in the Americas. Proto-historians believe people harvested wild corn for at least a few centuries before the first domestication of the plan. Domesticated corn spread from central Mexico, and after a couple hundred generations corn had become a staple of the Latin American diet and popcorn was known throughout Central and South America. Popcorn was an important ceremonial food for the Aztecs, and popcorn gifts were given to the priesthood and the gods. The Aztecs and other groups used popcorn as decorations for ceremonial headdresses, necklaces and ornaments on statues of various gods (in particular, Tlaloc, the god of fertility and rain. Corn first became a popular agricultural crop in the U.S. in the mid-19th century didn’t really become popular with the American public until the 1890s. Popcorn remained a popular from the gay ’90s until after the Second World War. Vendors used to follow crowds around in big cities, pushing steam or gas-powered popcorn poppers through fairs, parks and expositions. A few enterprising businessmen introduced the idea of popcorn gift baskets and other popcorn gifts during this period. Popcorn at 5 or 10 cents a bag during the Great Depression, and was one of the few luxuries low income families could scrape together the money for. In an interesting historical note, despite other businesses failing right and left during the early 1930s, the popcorn business thrived. There was a sugar shortage in the U.S. during the Second World War, which meant candy production slowed to a dribble. Because of this, Americans ate three times as much popcorn as usual from 1943 to 1945. Popcorn became less popular during the early 1950s, when television became popular. Attendance at movie theaters dropped and, with it, popcorn consumption. However, Americans began eating popcorn at home again a decade or two later with the introduction of microwave popcorn. Today, the average American consumes about 51 quarts of popcorn. Popcorn has developed so much since then that it is now considered a gourmet food product. While we added flavors including cheese and caramel to the traditional butter and salt choices a while ago, flavor choices go far beyond these three to include savory options, spicy options, and complex sweet toppings. Popcorn has gotten fancy and stayed popular through the years. Learn more about our popcorn and fundraising efforts at our Popcorn Fundraising page.